Cecil was a lion in Hwange National Park, Zimbabwe. He was killed on 1 July 2015, at the age of thirteen. 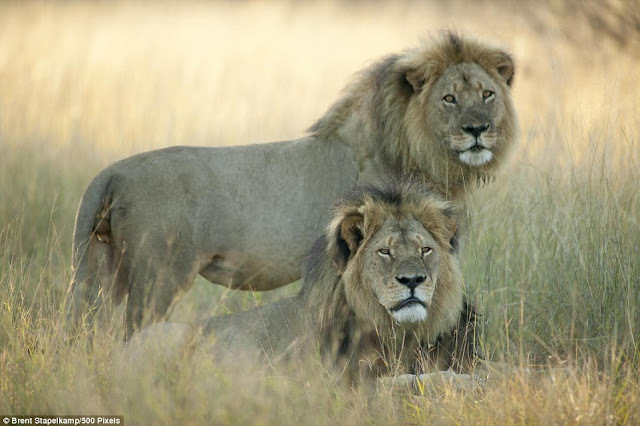 Cecil had been studied by scientists from Oxford University as part of a scientific project that has run since 1999. 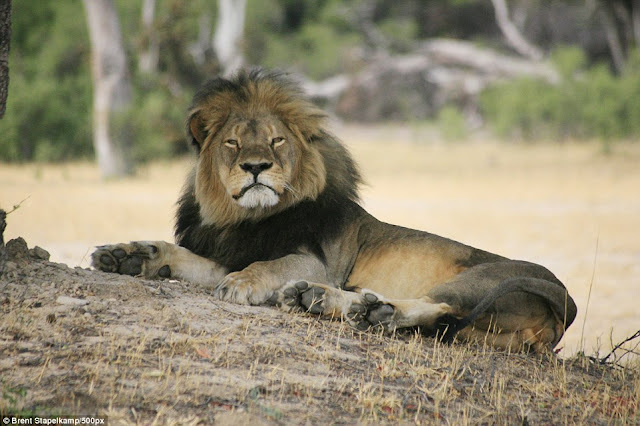 According to the conservationists, Cecil was wearing a GPS collar to track his movements. As a result of papers published from the study, Cecil had become a tourist attraction for visitors to the park. In July 2015, an American big game hunter paid US$55,000 (£35,000) to a professional hunter to enable him to kill a lion. Cecil was allegedly lured off the protected park site, wounded with a bow and arrow, stalked for 40 hours, and then finally shot. 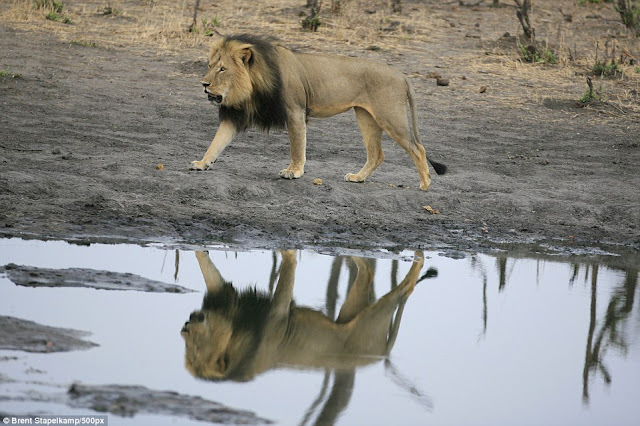 The American had returned to the United States, where global media and social media reaction has resulted in more than 265,000 people signing online petition "Justice for Cecil", which calls on Zimbabwe's government to stop issuing hunting permits for endangered animals. According to the IUCN Red List, lions are listed as "vulnerable." And Cecil wasn't the only lion to suffer. 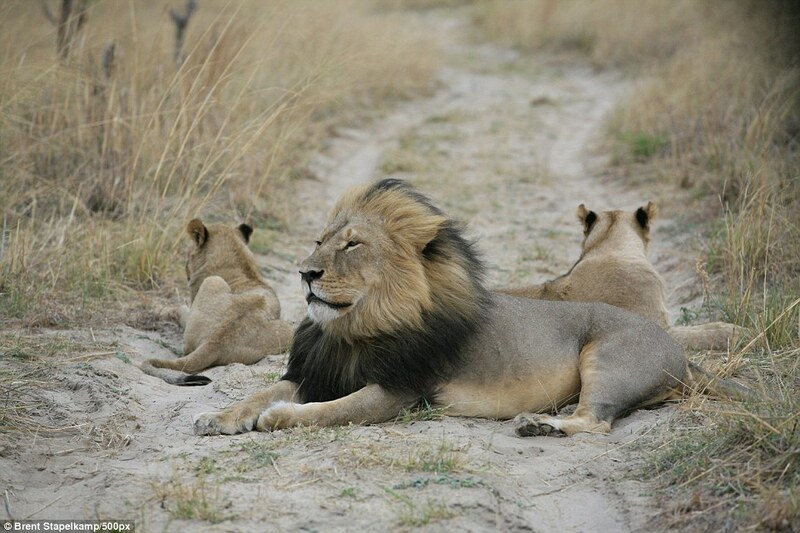 If a male lion dies, the new pride leader will often kill any youngsters, so it's likely that Cecil's six cubs were killed as well. Visitors shot Cecil ... With A Camera! Responses to "Amazing Images Show Majestic Cecil The Lion With His Family Before Death"
The man who shot and killed him should not rest a day in his life for it. Wildlife must live in fear everyday because of mankind so it would be justified that he live with those fears. And just because you have the money and no laws stop you does not mean you should do it. It is morally wrong. The Dentist shot him at close range as they shined a spot light in the lion's face. And they didn't see the GPS collar with transmitter ? I hope this murderer never has peace in his life again. So when can we hunt this shooter and persons responsible? I truly hope KARMA BITES YOU SOON. YOUR DAY WILL COME!!!!! Such a tragedy! I hope he pays for what he has done! He should be ashamed!!! I'm afraid this dentist has just signed his own death sentence ,Karma comes to mind. I have cried, felt ever so saddened, anger, vengeful, now I just want to know #whereiscecil. Someone knows where they have the rest of him is and that he is not in the hands of the poachers that killed him. He should be with the people who loved him. Well, that P.O S doesn´t care one bit about what he did. Sent a bloody apology message regarding his dentistry practice and will be back in operation soon. Not a single sorry for killing that beautiful animal. Not just Cecil but the other animals he has hunted down all these years Just goes to show what type of a human being he is. You deserve what ever come to you and I will not feel sorry. If he doesn´t get charged I am sure the public will not leave him in peace. He is not sorry. This was his second lion kill. He has also murdered a white rhino- the most endangered species on the planet. He is garbage. I hope there is a speeding bus out there with his name on it. Cecil was a truly magnificent spirit. He deserved to live a long long life, and hopefully his cubs WILL survive to carry on his legacy. Such a tragic event. That excuse for a human being didn't just kill Cecil, a most beautiful and unusual lion with a black mane which i am sure was his reason for luring Cecil out of protective land to cold bloodedly murder him. There is a video of Cecil and his family that is so beautiful to watch. He is nuzzling his mate and playing with his cubs. People must be educated . Animals are not just things. 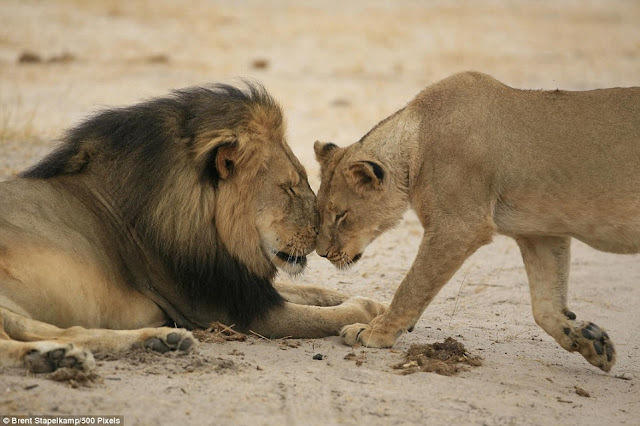 They have feelings and families just as we do.That creature didn't just kill Cecil, he killed his family as well. I hope he rots in hell!!! One in twenty-five people on the planet are born Sociopaths. They are not capable of compassion or love and have no conscience. Perhaps the dentist is one of these. They are responsible for most of the evil done in the world. They live to please themselves alone. As we say here ignorance of the law is NO excuse.He knew it was wrong that's why the lion was lured away and then quietly shot with a bow and arrow.Then tracked and killed almost 2 days later.Some people with money think they can do whatever they want and get by with it.He later says he's sorry.Yes sorry that it went viral.He knew when he went there what he was going to do.To bad they can't get him for 1st degree murder because that's what it was!!! And only if all the anger over a dead lion could be applied to 1.6 million innocent babies who are killed every year. Your words are so true.... God will have his vengeance at what we do to his precious helpless creations. The millions of souls who's life ended before they could be born just so the SELFISH and GREED of the adults wouldn't be inconvenienced. Yes God will have his vengeance for his precious creations. The last thing I read about this, Jericho had taken over the pride and none of the cubs were killed.